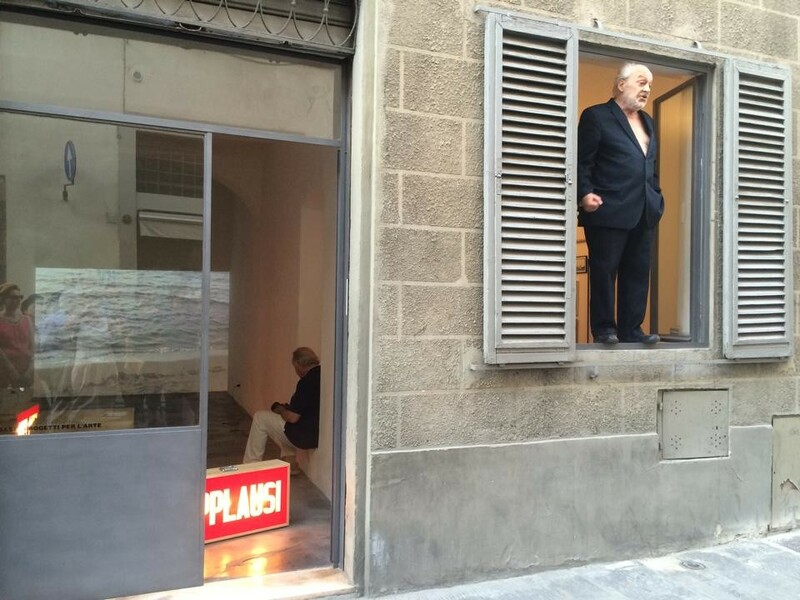 The lecture/performance took place as part of the exposition Radical Tools, dedicated to the protagonists of the Florentine ‘radical’ movement, one day dedicated to an intervention by each. 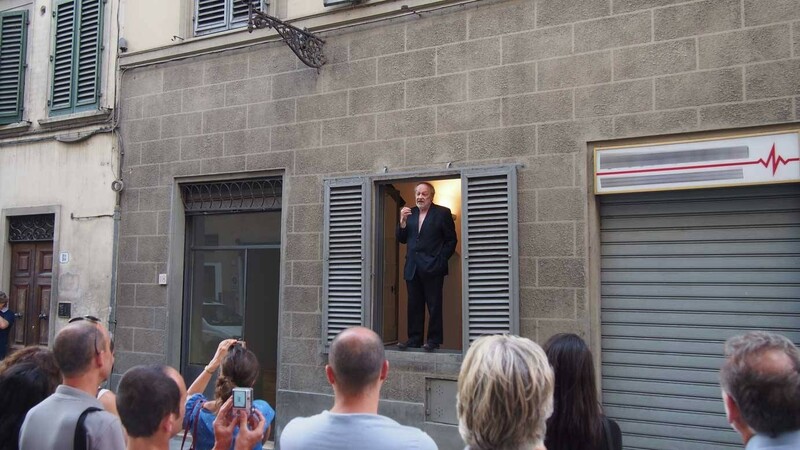 To illustrate his idea of architecture, Pettena chose to address not only experts in the field but also a random audience, passers-by on the street as he spoke. 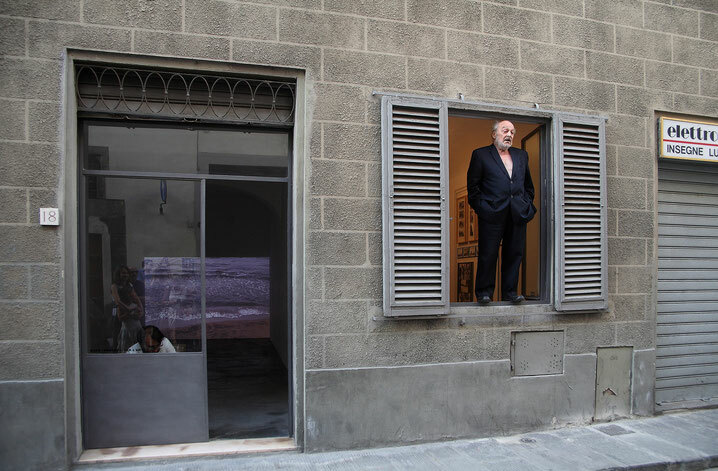 And to make sure he had their full attention, he did not deem it sufficient to appear at a window for his ‘speech’, and so he decided to climb onto the window-sill after having calculated that the window would frame his body perfectly.